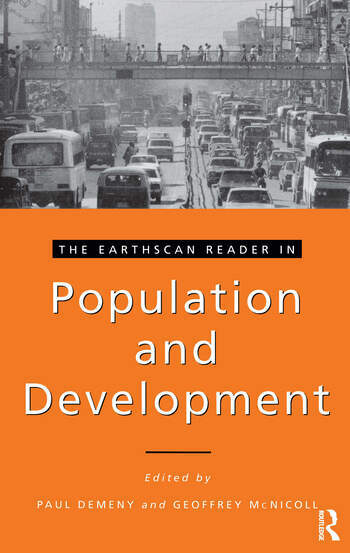 This reader provides information on population and development issues for those seeking the middle ground between technical and non-specialist material. It contains contributions to all the various aspects of the debate from the 1960s to the 1990s from a wide variety of authors including Kingsley Davis, Herman Daly, Gary Becker, Ester Boserup and Amartya Sen. The Dynamics of Transition; Individuals and Families; Societies and States; Resources and Environment; Futures.